I'm going to be on Pat Sloan's radio show! 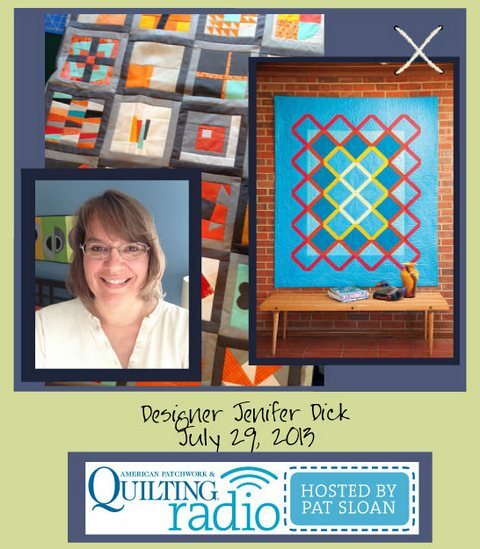 I'm so excited to invite you to join me when I'll be a guest on Pat Sloan's American Patchwork and Quilting radio show this Monday! I have listened to Pat for a long time and quite honestly, this is a bucket list opportunity for me! I plan on talking about my new job as Executive Editor at My Stars Quilts and much more. The show will air Monday, July 29 at 4 p.m. eastern. Click here for the link to the show. And if you can't listen live, click here to listen later. 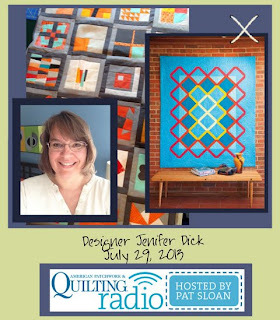 It's really easy to hear the show - you can listen on your computer, subscribe by itunes (search American Patchwork & Quilting), or download to a player. For more on Pat, go to her website here. Let me know if you'll be listening! Wow! How exciting! If I can't listen Monday, I'll try to tune in another day that week. Congratulations on getting to be a guest on Pat's show and your new job, too. Have a super day! Thanks Jennifer! It should be a lot of fun!